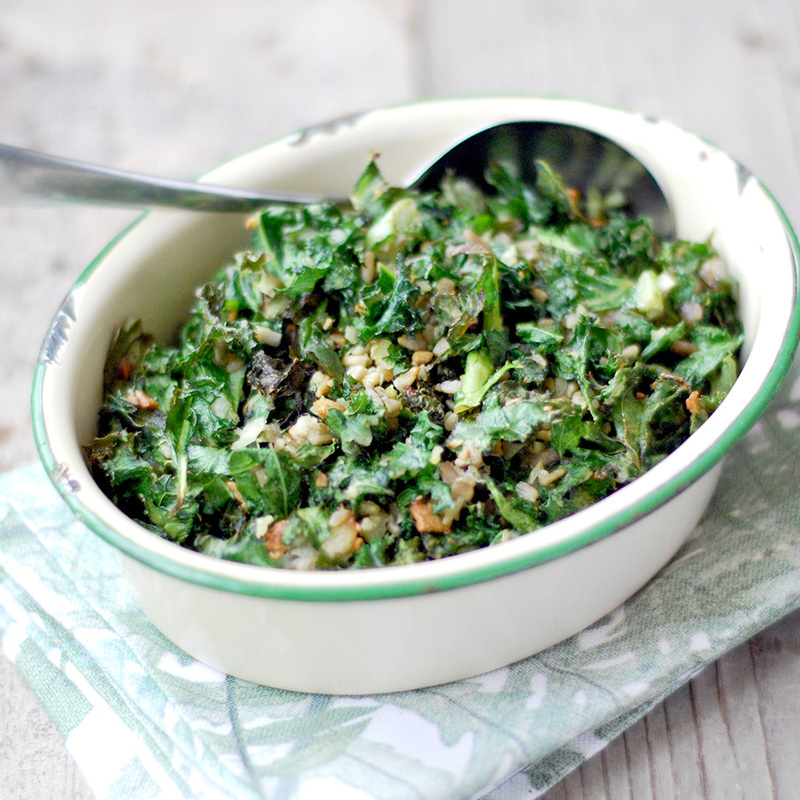 Kale is an excellent source of calcium, vitamins A and C, iron and chlorophyll. Is that it? Nooooooooo, kale is also delicious!!! These chips are perfect as a snack or as a accompaniment to a healthy and comnfort meal. Squeeze the kale with your hands. Spread them in a baking tray covered with baking sheet. In a food processor beat the rest of the ingredients. Using your hands mix the kale leafs with the seasoning. Bake it for 7 minutes at 180c. Yes that is really it! Enjoy!